In an earlier post I showed pictures of our studio with the giant green wall. 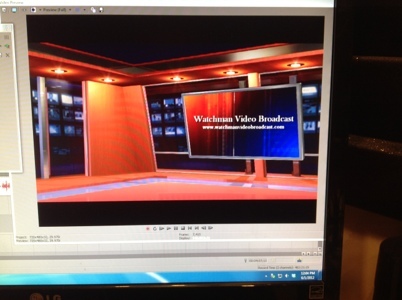 Here is how we convert that into what you see in the Watchman Broadcast. Here is the raw, unprocessed video with the green wall in the background. Once the green background has been eliminated, the result is an “empty space” behind me. 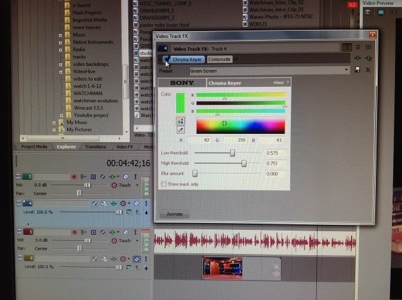 At this point, on a seperate track in the video editor timeline, I add the “studio”, which is a 30 second clip that plays over and over throughout the length of the Watchman video. Now we have the finished project! 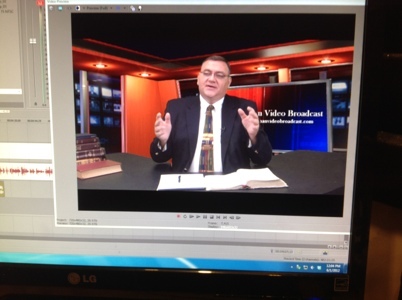 Thank you, Pastor Mike, for sharing how you make the background for the WVB. Very interesting and I love the choice you made. Very pleasant to view. 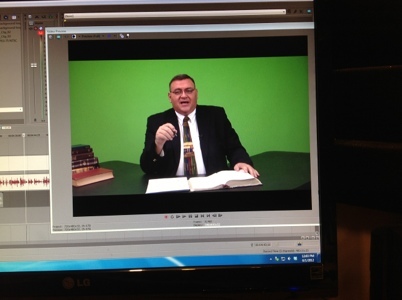 Wow, this is amazing, I thought you have a studio…this is great pastor Mike…..so creative, love the background! god is awesome….. Thank you so very much for explaining how it works, I have wondered and could not figure it out. Never would dream it was that simple and look so complicated. I will miss you but I know others need you to. Thank you for every thing you do for us online congregation. Will be praying for you and your family. Thank you for this wonderful inside information. It takes time to uncover these secrets (lol) to us watchers of your ‘secret watchman bunker’ ! LOL …… I sure will miss you and your studies, but the Lord has given you some time to relax and share quality time with your wife and children. Very important. 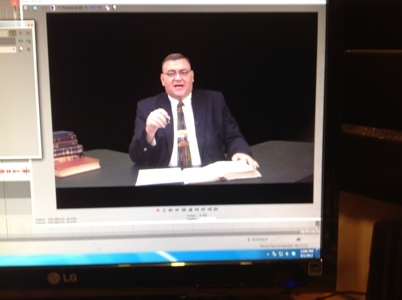 I will pray for you all and for Brady and Bradly at Bethel Church ………. I don’t like being a spoil-sport but I much prefer the background of family photos, etc., like a corner in your family room; more real, ya know? I guess I also like to see you comfortably sitting not standing, as that’s the way I’m more comfortable. :o) I just love soaking up all your knowledge! I SO appreciate it! I will be in Missouri the weekend of Aug. 4th, but I’ll be hitching a ride to my grandson’s wedding in Bethany, quite a ways from you, I’m afraid. I pray for you all daily. God bless you all.